Burj Al-Luqluq Social Center Society Organized on Friday, 09\12\2016, a tour to “Discussion in the Dark” Museum for the Bridge leadership group within Live the Burj project, funded by the Arab Development Fund through the Islamic Fund for Development and supervised by the Welfare Association. The program aims to develop the communication skills of the Jerusalemite participants through training sessions with the Dr. Taleb Edkaidek and as a continuation for our work with Bridge Palestine group after the winter camp. 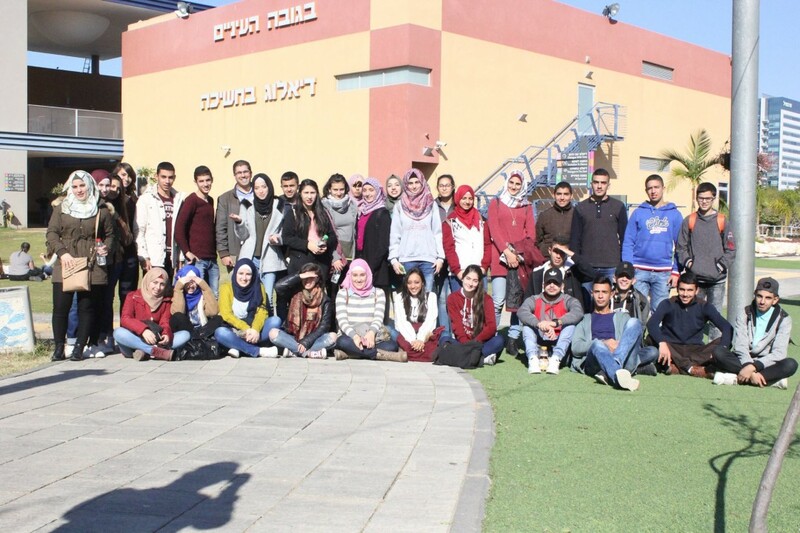 Around forty young Jerusalemite males and females joined the tour alongside with Dr. Taleb Edkaidek and they headed to “Holon” which is an Arab displaced village called Azur. There, they visited “Discussion in the Dark” Museum as an emulation of the lives of sightless people and they communicated for one hour in the dark.